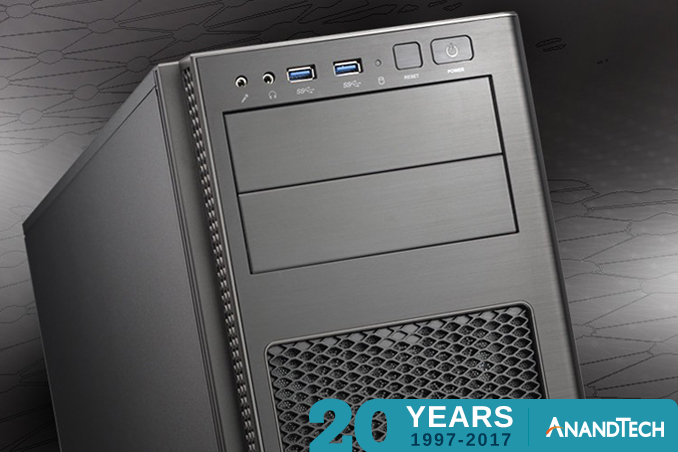 We’re now on day 11 of our 20 day giveaway celebration of AnandTech’s 20th anniversary. That means that the giveaway is half-way over! But don’t fret, that means we have another 10 days of prizes still to give out, so there’s still plenty of time to win. AnandTech admittedly has a pretty significant gaming focus – it’s a fun pastime and what a lot of high-end consumer systems are purchased for, after all. But then there are those of us who don’t need RGBBQ lighting or red flames, but do want a solid system for getting work done… and, okay, maybe some gaming on the side. To that end, today Supermicro is providing just what the hard-working system builder needs with a pair of products: their C7Z170-OCE Intel motherboard, and their 5130AD-T barebones system. 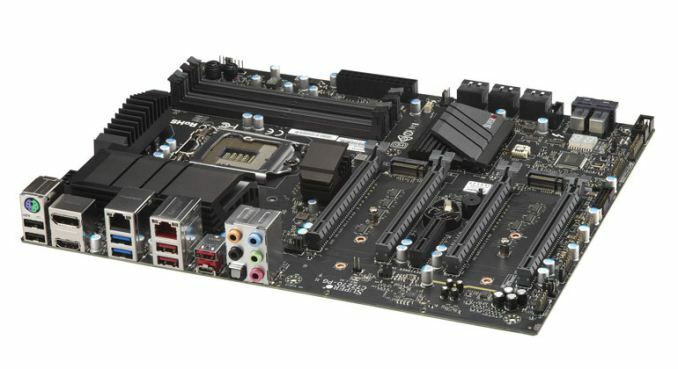 Starting things off is Supermicro’s C7Z170-OCE motherboard. 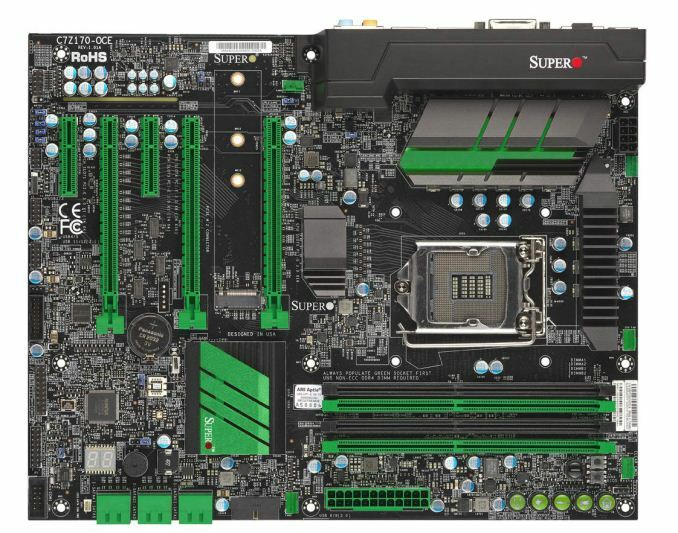 Based on Intel’s Z170 chipset for Skylake and Kaby Lake, this motherboard is an interesting fusion between Supermicro’s pragmatism in design and component selection, and their desire to cross-over with the consumer gaming market. The end result is an ATX board with all of the bells and whistles you need – things like USB 3.1 (Gen 2) ports, an M.2 slot, dual GigE LAN ports, Realtek ALC1150 audio, and an overall sever-grade build quality – without going overboard on superfluous features. Instead, Supermicro puts their attention on PCIe bandwidth, using a PEX 8747 PCIe switch to allow the board’s 3 PCIe x16 slots to split up 32 lanes instead of the 16 lanes that Intel’s CPUs natively provide. Supermicro does admittedly pitch this board more at the gaming crowd as part of their Supero brand – so a focus is of course on improved PCIe bandwidth for multi-GPU – but it also means that there’s plenty of bandwidth for anything else that needs lanes from the CPU, such as high-end PCIe SSDs and accelerator cards. In any case, rounding out matters on the software side is Supermicro’s modern UEFI firmware features, such as one-touch overclocking and a BIOS recovery function. But what if you don’t want to bother with the drudgery of actually situating a motherboard and PSU inside of a case, and want to get to the fun stuff of adding the CPU and other components? Then Supermicro has you covered there as well with the 5130AD-T, our first barebones system kit for this giveaway. 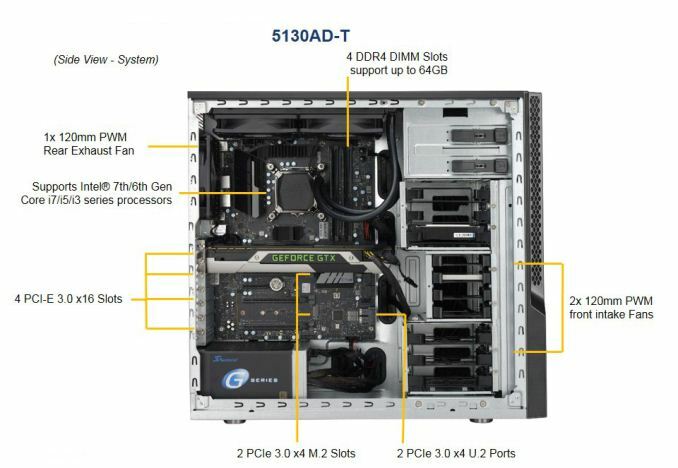 The 5130AD-T contains a motherboard, case, and PSU all pre-installed. The motherboard is the company’s C7Z270-PG, an Intel Z270 chipset ATX board featuring no shortage of PCIe x16 slots thanks to a PEX 8747 PCIe switch chip, along with USB 3.1 (Gen 2) ports, dual M.2 slots (both PCIe 3.0 x4), and RealTek ALC1150 audio. The board even features a pair of U.2 ports for high-performance 2.5-inch SSDs. Powering said motherboard is a 750W 80Plus Gold PSU (PWS-753-PQ), which offers a semi-modular design for better routing. 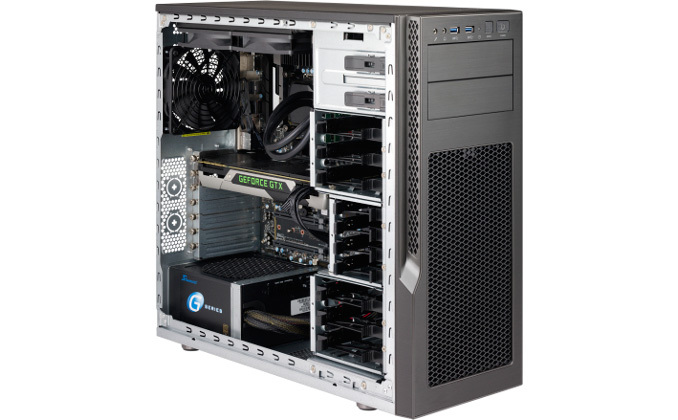 Housing the system in turn is Supermicro’s CSE-GS5A-753K, an 18.1-inch tall ATX mid-tower. The chassis features 3 pre-installed fans – 2 120mm intakes and a 120mm exhaust – with room for plenty more, including 240mm closed loop liquid coolers. Internally there are 2 5.25-inch drive bays, along with another 6 3.5-inch and 4 2.5-inch bays, all using tool-less trays for quick installation. Otherwise this is a clean and unassuming case, with rubber grommets for cable routing, sound dampening panels, and a brushed aluminum finish.